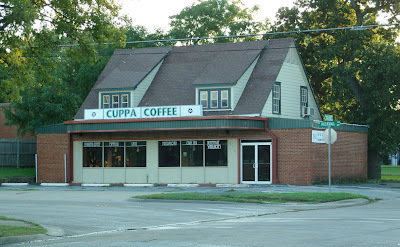 Today's photo is a small building near downtown that was a former convenience store (no gas pumps) that was remodeled and made into a coffee shop. The coffee shop closed a while back and there's been a for sale sign outside for a long time until just recently... so now I wonder what will be opening up next in the place. I like the name of the joint too!